All Comtrain Certs expire after 24 months. 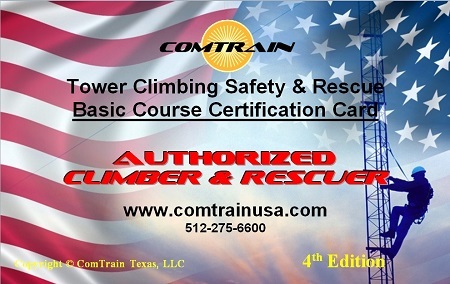 As of 1/1/2015 all Comtrain certifications including the Authorized Climber & Rescuer, Competent Climber & Rescuer, Competent Rigger and In-House Instructor bear a 2 yr. expiration date. Comtrain also considers all certifications issued prior to 1/1/2015 to be expired 24 months from the date of training making the expiration date retroactive and applicable to all previous certifications issued.